Just choose the images or pictures you want to decorate your walls in Minecraft. 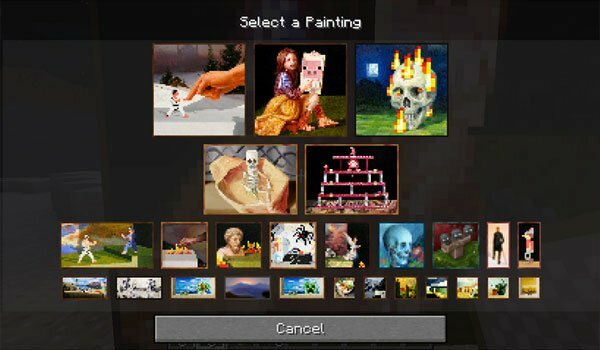 Painting Selection GUI 1.7.2 is a simple mod that delights all those who have to place and remove pictures a thousand times in Minecraft, until they get the one they want, since the pictures are random. The mod adds nothing more than a command called /painting that we should write to the chat of Minecraft. Then a graphical interface will show all images or pictures we have available and just have to select the one you want to display. How to install Painting Selection GUI Mod for Minecraft 1.7.2? Stop spendint time when selectinc the pictures!